… what else can you do when people refuse to be ashamed of themselves? Comune di Narbolia – Unauthorized Media, Keep Out! The Gallery of Wrongness – Page 14: "Dr." Alessio Mirabelli & the "Miserable Conditions"
Outrage in India! No Carpet Munchers Allowed! On 24 September 2014, Italian Prime Minister Matteo Renzi spoke to the Council on Foreign Relations in New York. Evidently, all the interpreters were on holiday, so Mr. Renzi spoke in Engliano. We’ve helpfully highlighted some of the best bits for you. RENZI: I’m really honored to be here, and thank you so much for your kind expressions. Consensus for change, absolutely correct. This is a message I think I must copy, this statement for my next speech in Italy, because the risk is consensus for consensus, consensus for stay exactly in the same condition of the past. This is the most incredible risk for my country. Yes, but — this is the asset, this is the risk for my country, because I don’t know if we love Italy for the past, for the present, or for the future. Surely, for the past, the past is amazing, gorgeous, art, culture, masterpieces, Roman empire and Renaissance. For me, I was mayor of Florence (inaudible) it’s not important. But the past surely is a great, great, great asset for Italy. Also, a past focused on high technology, also for the sad pages of the past. For example, this is a mobile, you know? But the first telephone wasn’t American telephone. Now it’s the Apple. And we can discuss about how many Americans is Apple, not the piece, but the idea and the quality of product is clearly American. The first telephone wasn’t American telephone. It wasn’t Bell telephone. Also, United States Congress in 2002, I think, recognize the first telephone was an Italian telephone, was created by Antonio Meucci. Antonio Meucci worked in the (inaudible) in Florence, and he decided to invent this instruments. But he lost — he lost the opportunity to have the copyright of the lack of money. It’s a sad history, but maybe could be also a possibility for the future in Italy. We have good ideas, and we are not able to realize why. Because we love our present. Despite the situation of economic results or the number of unemployed and older results, for example, of GDP. We love our present, because the present is a present of quality of life, of good experiences in every field, food, holiday, wine (inaudible) not only food, wine. But the challenge for my government is love our future. I’m jealous of our future. I think the most important experience for Italy will be tomorrow, not yesterday. This is a very ambitious program. Maybe somebody could think the new prime minister in Italy is officially crazy. I know. This could be a reaction. But this is the program of our government. Change ourselves to come back to be Italy. Come back to be Italy means a few things. First of all, change our political way in Europe, but after change ourselves in the traditional problems of our country. Maybe you (inaudible) last time other prime ministers here. And I think everybody spoke about the necessity of change of public administration, reduction of taxation, change of electoral law and institutional system, labor market system, civil justice. I can continue for two days with the list of problem. The difference we are not interested in the list of problem. We must absolutely commit (inaudible) solution, and this is the reason for the — for the first time after 1959 a party in Italy obtain 41 percent of votes in the election. It’s the first time after 57 years, 56 years. And our party is the party most with the incredible result in Europe, most votes in Europe, more than Angela Merkel’s party. This obviously for Italian is a very important reason of pride, more or less, in the soccer match, also if — after this world champion, we don’t discuss about soccer. We love very much baseball, cricket. So what is the goal of our government? And then I think we can begin with a question and answer. I think the first thing is change labor market in Italy, because labor market in Italy is focused on the past. In the last five years, Italy lost more or less five points in their ranking of unemployment results. Now we are 12.6, not 13.0. .4 is very important. But obviously, it’s a joke, but the question is serious. It means a lot of people without prospective, without future. And we are not a revolution in Italy, despite the average of unemployment, because there is a welfare state focused on families, with maybe unbelievable for American people, and also for Italian people live in America, but it’s the only reason to saving this moment the climate in the families and in the — in the citizens. First of all, labor market. Very clearly, we think it’s important reduce the number of problems for entrepreneurs. Now to choose a man to work in big company, as (inaudible) or in a little — little team of two people who work in an artisan products in historical city, the first problem is fight against public state and public administration. So reduce the number of problems by the state. Give freedom. Give simply the possibility to try. And also give the message (inaudible) belong in experience of life, because in Italy, usually if you lost — if you fail out, you are finished. I’m really surprised the last time in which I visited Silicon Valley and East Coast in Boston and the University of Boston, when the start-uppers explain me here, if you have the possibility to come back after a failure, you are more strong, you are stronger. The venture capitalists believe in me because in the past, I understood the reason of my mistakes, and now I can try again. Try again. This is a possibility usually stopped in Italy. So change labor market, but change the mentality. In Latin expression, change for momentus (ph). First of all, labor market. Second, civil justice. Justice is absolutely — in the last 20 years, everybody spoke about justice in Italy for the problem of trials, you know, for the traditional problem, published in newspaper around the world. But the real vision for a new country is not discussed only about the problem of the past. It’s explained very quickly and very simply, the timeline for a civil — civil justice must be different. Now, U.K., USA, France and Germany have the first step of civil justice in one year. In Italy, 943 days, almost three years. We must absolutely reduce the time give to entrepreneur to investor the possibility to have one year the conclusion of process. So, first of all, labor market. Second, civil justice. Third, a big cut of politicians. I’m not against politics. I think we must change politicians. This is the reason also for radical change in our government. This is an important difference. I’m not supporter of demagogic attack to politics. I think politics is a great opportunity for a man and woman. I believe in the dreams of politics. I believe politics could save a country. I believe politics, it’s important, because not only economy change the world, so I believe in politics. But I think exactly because I believe in politics, we must reduce the power of politicians. In Italy, there are in this moment 1,000 of members of parliament. I know, because I was mayor, and it’s very strange, my history. I’m not a member of parliament. But this is not important, obviously. One thousand members of parliament. So United States are not important as Italy, yeah, it’s clear, but they had half of members of parliament. You don’t understand the importance of to be a member of parliament in Italy. It’s not as the United States, a little country United States, no. But reduce the power, the number, and the (inaudible) of political institutions is our priority, and we began with the (inaudible) four and five very quickly. Four, a fight against corruption. Nobody in international newspaper said this little news. The last three governments proposed authority anti-corruption. OK, good proposal, but nobody realized that. We signed the decree. We choose judge who come from Naples and who vote against (inaudible) very great man (inaudible) and we decided to invest in this national authority against corruption. Now this is the great partner of public administration in few fields. For example, after two parliaments focused on (inaudible) 2015 in Milan, the presence of authority, national against corruption, and the president of Judge Catoni (ph) solved every problem and now we will work for an incredible expo in 2015 in Milan, very based on the quality of food, wine, but in general of sustainability around the world. Fifth, prime minister — not from New York City, sorry — not for Washington, D.C., not from Boston, not from Chicago — Detroit, Friday. Not — I decided to start from Silicon Valley. And I think very importantly this message, because with the revolution of information, communication technology, we can absolutely change the public administration. This mobile is not the instrument while I’m in online, while we wait for the sprint of certificado (ph), and I use for SMS. This is the instrument of revolution of public administration in Italy, with the cloud of public administration, with the cloud from which we can use everything, every document, every relation with the public administration, and start from certificado (ph) to arrive to public administration really focused on the future. So I believe important for Italy built an idea and idea of public administration, able to give the message, the future is Italian. The future is not only American, Chinese (inaudible) it’s impossible. Italy, it’s the country of the present, it’s the country of the past. No, for me, no. My challenge is change this vision, this approach. This means a radical revolution, not simply evolution (inaudible) mentality of politicians in Italy. This means an incredible revolution and not simple evolution also in the storytelling of Italy, in the storytelling of Italy. But this means also an incredible challenge with the citizens. When I met the young (inaudible) and they were young scientists in Silicon Valley, my speech was that I don’t ask you come back. For me, it’s not important you come back. You are citizens of the world. It’s the traditional system of Italian mentality — ah, there are the people who are outside of USA. OK, you stay in USA, good. But create value for our country. Create opportunity for everything around the world. The Italian success in the past is not simply to stay on the border, to defend themselves, but we give the possibility to (inaudible) around the world. This is the meaning of Leonardo da Vinci, of Michelangelo. Obviously, speaking about Michelangelo and Leonardo da Vinci in the moment da Vinci we have the problem with (inaudible) could be strange. But our dream is exactly that. A fight in our country to change and to give the message of revolution for the politicians and for the public employers, but in the same time, give this message of hope around the world, because if Italy become again Italy, this is important for my country, but I think this is absolutely important also for United States, our relations. 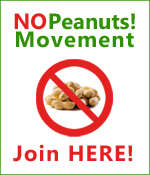 Proud sponsor of No Peanuts! Click the logo to learn more.